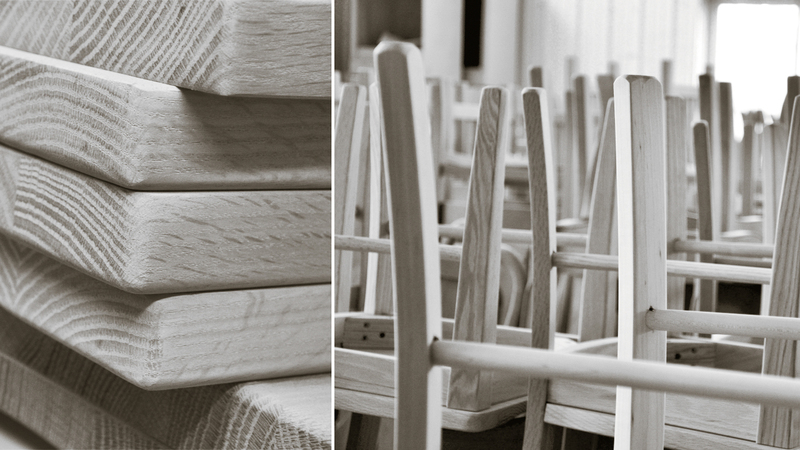 Travel anywhere in the U.S. and you will be able to find a store who carries furniture crafted in Holmes County Ohio. Many of these builders are members of the Hardwood Furniture Guild. 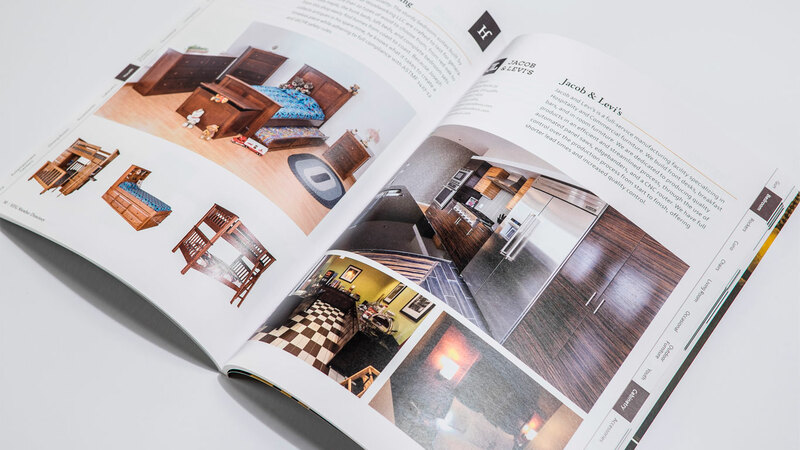 The Guild collaborates with Cassel Bear for marketing materials, catalogs, websites and more. 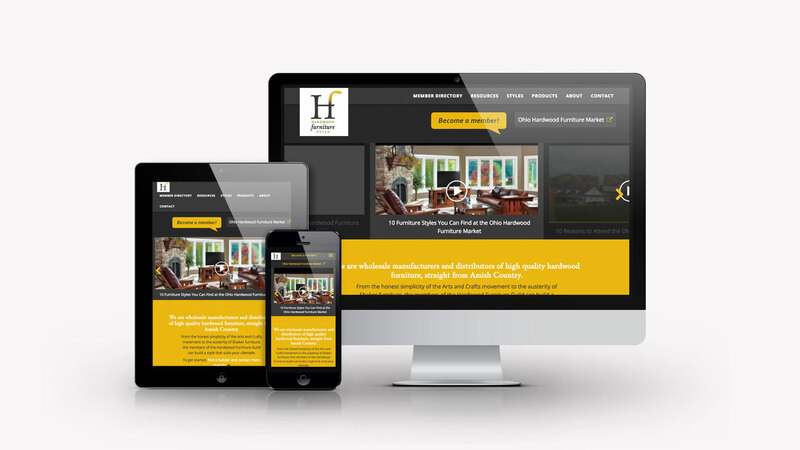 The Guild’s website was built not only to share with others a directory of the current members, but also to help promote what all the Hardwood Furniture Guild does for potential new members. 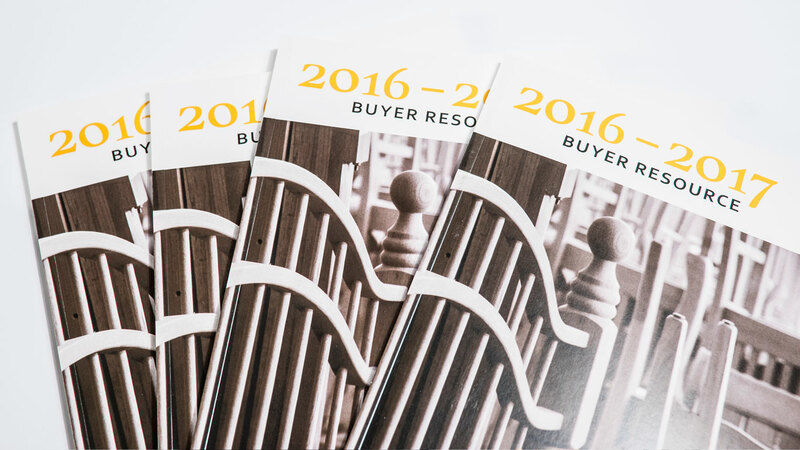 Working with the association of builders allows Cassel Bear to market the industry and the area. Two signature events, the Spring and Fall Ohio Hardwood Furniture Market, brings furniture buyers from around the U.S. to Northeast Ohio. 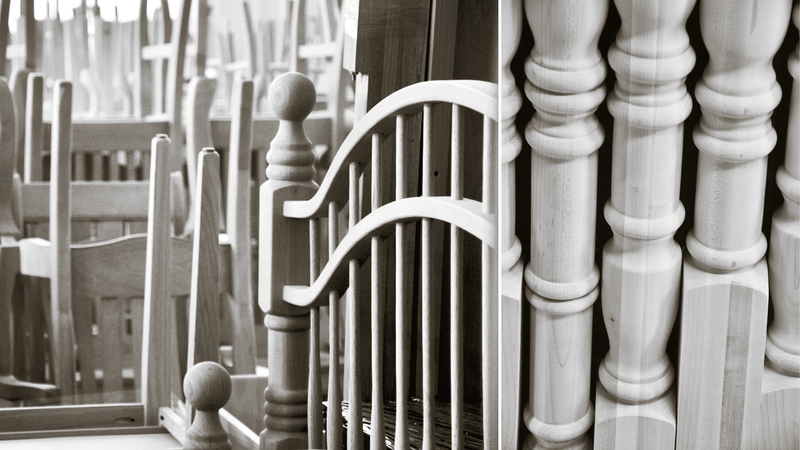 During these events, many relationships are formed between buyers and builders and truckloads of furniture are contracted. 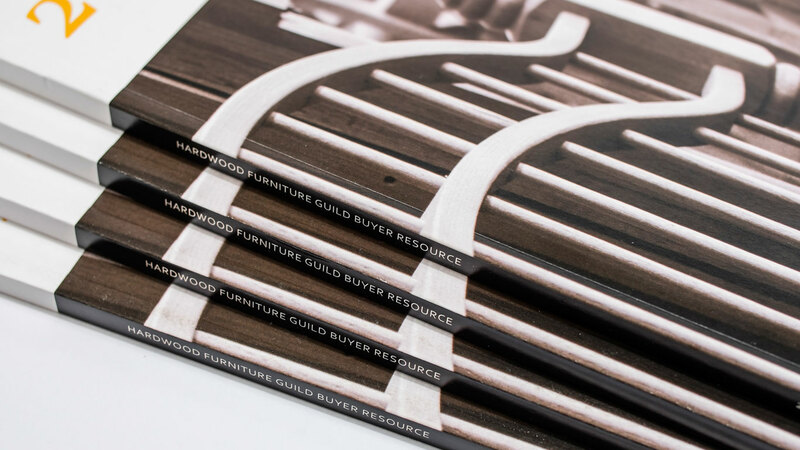 As part of Hardwood Furniture Guild’s continued emphasis on marketing the furniture manufacturing industry, the Guild partnered with us to redesign the robust Buyer Resource we’d previously created for them. Cassel Bear undertook the task of reaching out to over 200 builders featured in the guide to gather updates to their profile pages – new photos, adapted copy, additional pieces or styles of furniture they are now creating – and then craft a new version of this directory for use by furniture retailers all over the country. 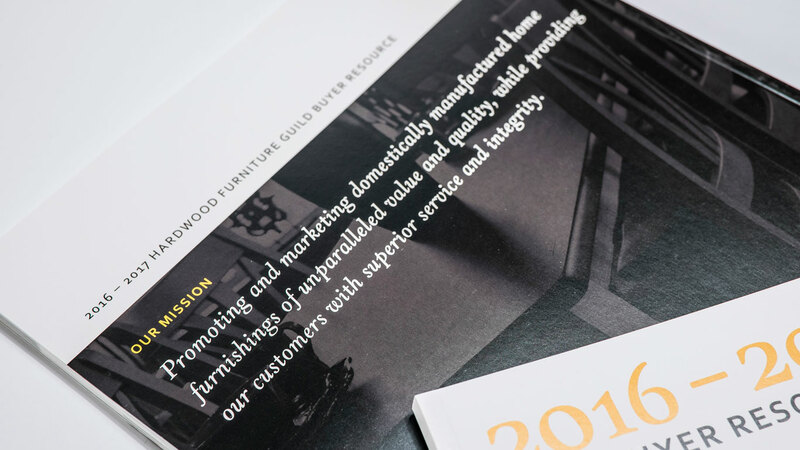 The Hardwood Furniture Guild’s Annual Dinner allows members and other local interested parties not only to hear about the Guild’s initiatives over the past year, but also to be equipped and trained for growing and improving their furniture manufacturing. 2016’s meeting featured more speakers than usual, so Cassel Bear was tasked with presenting these multiple options in a small amount of space. We used simple colors and geometric shapes to differentiate and organize lots of written content. The Hardwood Furniture Guild hopes to host its annual Ohio Hardwood Furniture Market at Harvest Ridge, the new Holmes County Fairgrounds, in future years. Because of this, the Guild has been doing its part to encourage its member builders to raise and commit funds to the large building project. 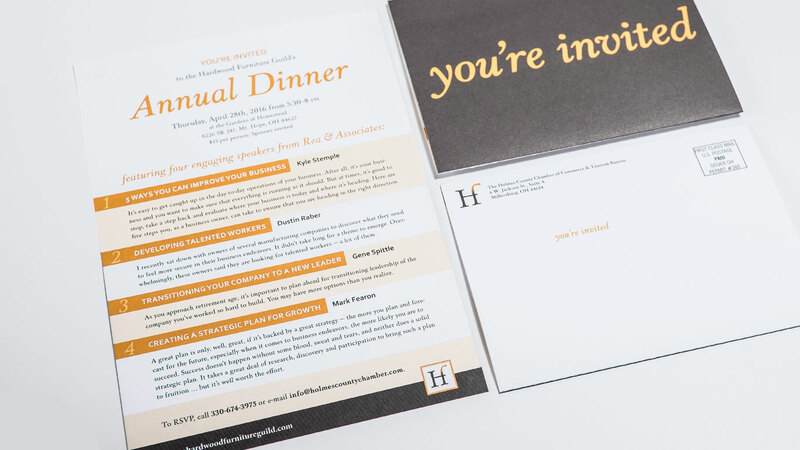 This invitation is one of several pieces we designed, inviting constituents to attend one of several events laying out the plan behind Harvest Ridge and different ways that businesses can donate to the cause. 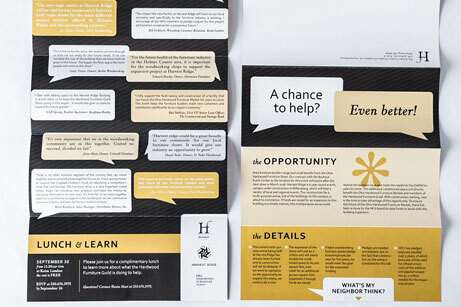 The design makes use of the Guild’s brand colors and fonts while introducing the speech bubble motif to capture voices from the community who are already committed to the effort. 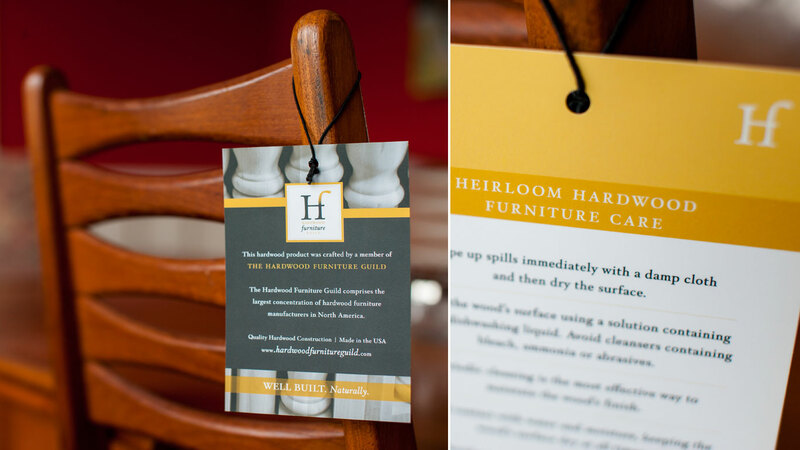 These soft laminate tags are attached to furniture that leaves a Guild builder’s facilities. 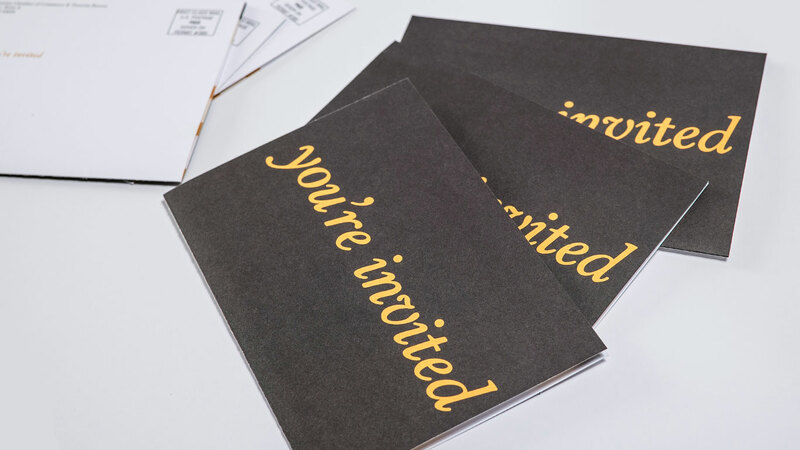 The tag is a mark of distinction so that buyers know that a the builder is a member of the Guild. 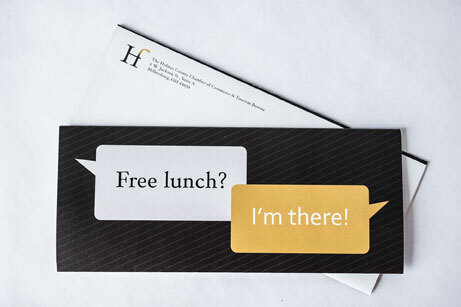 Brand photography is defined and used across all branded materials.